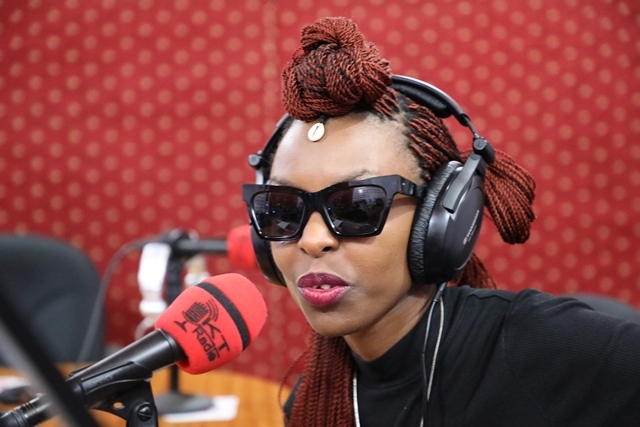 Rwandan pop and cultural star Teta Diana advised fellow artists to stick on their own originality musically if they want to sell their music abroad. The singer who is based in Sweden currently revealed that Rwandan music can sell in Europe but only when it’s made out of Rwandan cultural roots. The singer who is in Rwanda shared the information live on KT Radio’s evening program Dunda on Wednesday when asked whether Rwandan music can generate income in Europe. “Rwandan music can generate lots of cash if only artists stick on their originality musically because people in Europe buy authentic music,” says Teta Diana. For decades we have seen artists from countries like Senegal, South Africa participate in international music festival yet they don’t even sing in English but just because of their unique music which makes them compete on international level. Rwandan young artists these days mainly focus on music genres like Hip hop, Pop and Dancehall because they sell in Rwanda. However, in Europe they can’t sell because most of those genres originated there. “You can make money in Rwanda while doing RnB, pop or hip hop but trust me, you can’t earn a dime in Europe doing that kind of music maybe in Diaspora community because they already know your name back home.” Teta Added. Teta Diana has been making money from various music festivals across Europe and USA and the recent is one in Belgium African Spirit and Music Action Lab in USA last year. Teta Diana became famous when she was doing music under Gakondo group, a traditional music crew that features celebrated cultural musicians like Masamba Intore. She boosts of hits like Kata, Velo, Ndaje and None N’Ejo which features on her upcoming album which she plans to launch mid this year.